We are incredibly proud to announce that the University of Michigan Department of Surgery will host the 2023 meeting of the Society of Black Academic Surgeons in Ann Arbor!  The Michigan Promise is an investment in the residents and faculty of the Department of Surgery at the University of Michigan, recognizing that success is due to the talent, commitment, and vision of both. With the Promise, we pledge that we will support every individual to achieve his or her full professional and academic potential. 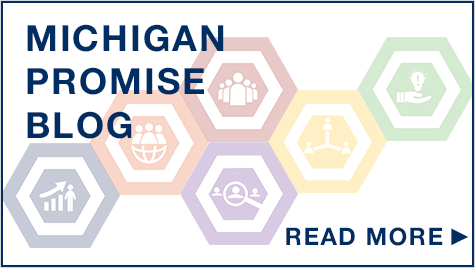 The Michigan Promise ensures that residents and faculty within our Department, and our community as a whole, realize our goals as the Leaders and Best. The potential benefits of increasing diversity of academic medical faculty have been well-described and are numerous. The Association of American Medical Colleges has stated that increasing diversity of academic health centers is a significant part of the strategy to reduce health disparities in the US. Importantly, a diverse faculty and leadership team are critical for achieving and maintaining excellence in research, education, and clinical care. Only institutions able to recruit and retain women and underrepresented groups will be likely to maintain the best faculty and housestaff. However, little is known about the current process of strategic recruitment of future house staff and faculty from underrepresented groups in surgery and national standards do not currently exist for academic medicine. Given this, we have undertaken a strategic process to enhance the effectiveness of recruitment in the Department of Surgery to attract trainees and faculty from diverse backgrounds. The Society of Black Academic Surgeons (SBAS) motivates, mentors, and inspires surgeons and medical students to pursue academic careers and make significant contributions to the advancement of the field of surgery. The mission of SBAS is to improve health, advance science, and foster careers of African American and other underrepresented minority surgeons. The University of Michigan is also proud to be an Institutional Member of SBAS. As an Institutional Member of SBAS at all levels, we confirm our institution’s commitment to effective surgical leadership, and we hope to highlight our institution’s ideals and values, which we believe are perfectly aligned with those espoused by SBAS. Mark April, 2023 on your calendars!